These islands are located in between Banda Islands of Moluccas and Kaimana Regency of West Papua. It is a region of Watubela, South East of Seram Island. It is a perfect midway point for a stopover. 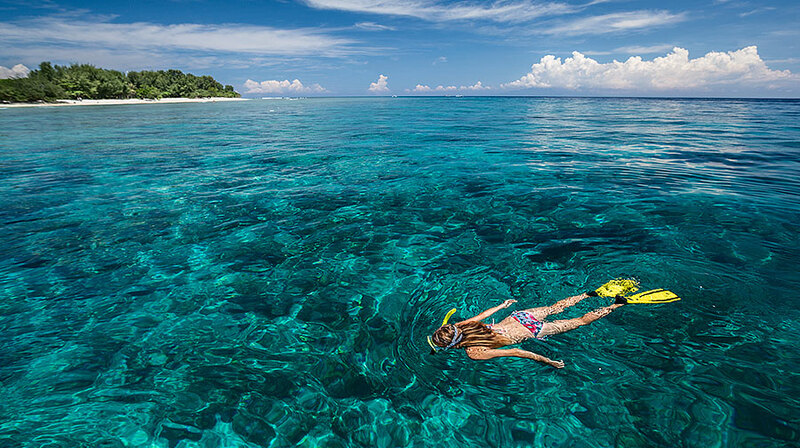 As far as your eyes can see, the pristine crystal clear turquoise waters surround the Island. 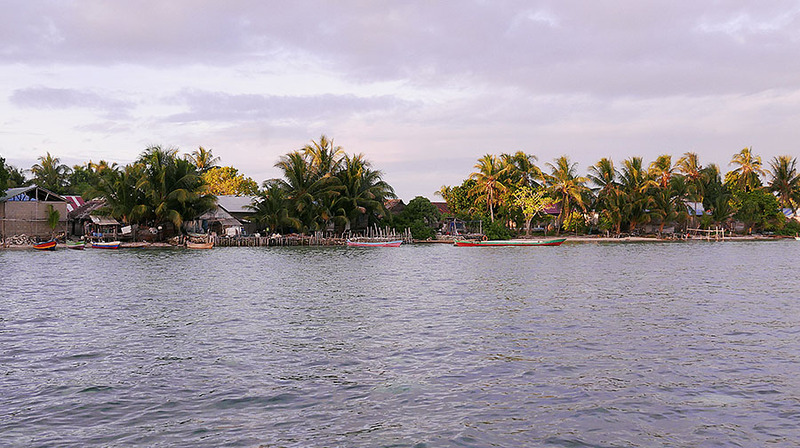 Koon Island is the biggest coral fish breeding area in East Indonesia. In 2011, the WWF made a Marine Conservation Agreement (MCA) to close the water area around Koon Island for a long period of time to provide a “fish bank” for the future generations. Koon is a conservation area and therefore a no take fish zone. Alfred Russel Wallace, a famous British naturalist who is equally as important as Charles Darwin, sailed this island between October 1959 and June 1860 in search for the Bird of Paradise. Many avid sea lovers only dream of diving here. As we immersed ourselves, we saw schools of tropical reef fish of every variety. As we went deeper, you found 50-year old potato groupers and hammerhead sharks as well as various tiny critters, which made the sandy bottom their playground. There was several dive sites to choose from: Too Many Fish, South West and Sandy Bottom dive sites. 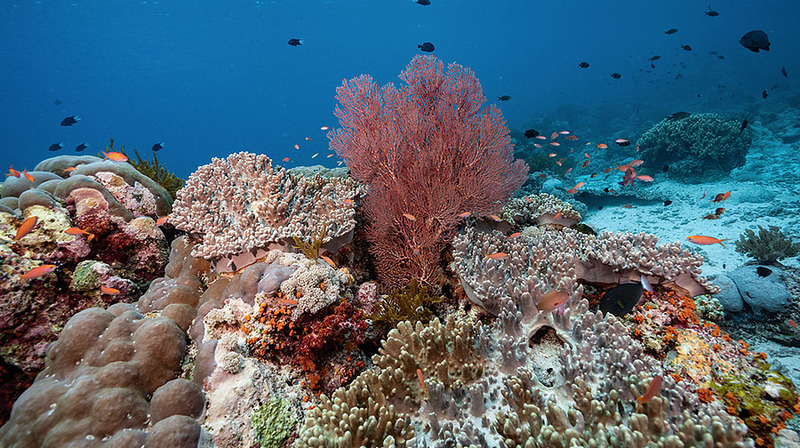 Due to its remote location, they are some of the least visited dive sites in the entire coral triangle. All of them are spectacular. The sea life dazzled us. 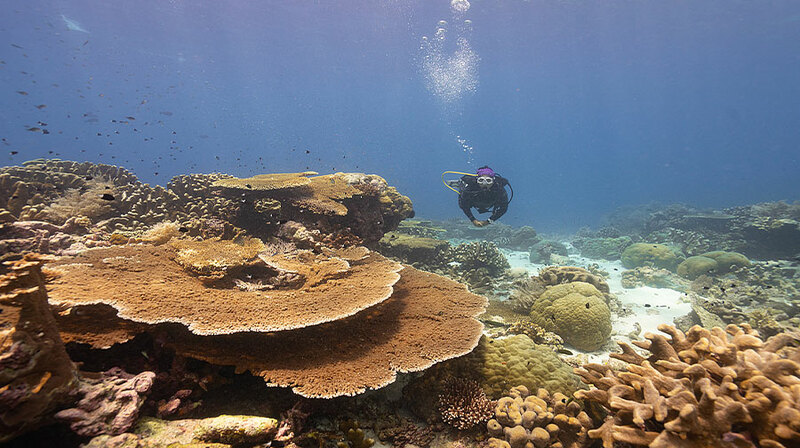 Wall and slope of the reef were covered with both soft and hard coral. What is so special of this region is the stunning visibility, into the blue shades of ocean, which seems rather transparent as we closed by. red-toothed triggerfish flutter their electric blue fins all around you and the occasional palette. Surgeonfish swims around on the wall. An enormous Queensland grouper is often sighted together with patrolling white tip reef shark and Napoleon wrasse. 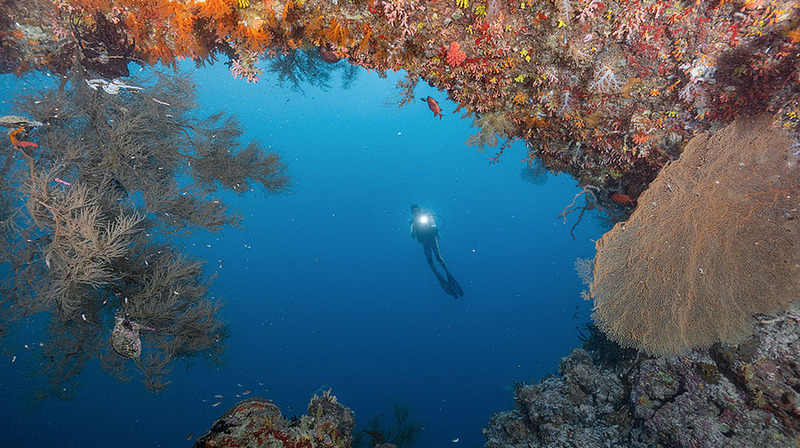 In the shallower depth while waiting for a safety stop, you will see beautiful corals surrounded by schools of giant groupers, barracudas and snappers as well as surgeonfish and sweet lips. This really is the world’s aquarium. Before sunset, we stopped by to Pulau Panjang and Pulau Gorong for village visits. Laid back and full of life. The kids left a fond memory to our guests. The islanders always have their own way to enjoy life despite their limited facility. As we took our drone, the kids seems never seen it before. As it went up in the sky, they ran following the drone. Teenagers were busy on volleyball competition the simple little field facing the sunset. It’s just beautiful. 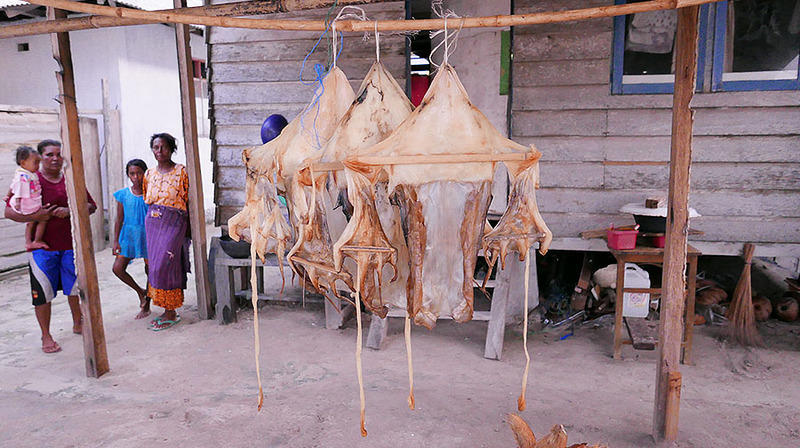 Moms and dads were busy drying their dried giant octopus and squid, which they can eat during east monsoon where it is not possible to sail due to high waves and strong winds. The locals only go fishing for daily food consumption during good season. 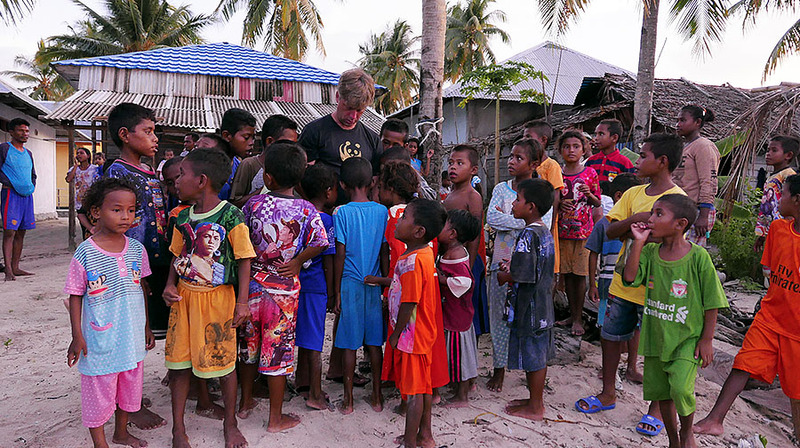 Here in the middle of Coral Triangle, ocean is everything they have. They only take enough for food. Once commercial fishing comes, it destroys the ecosystem. 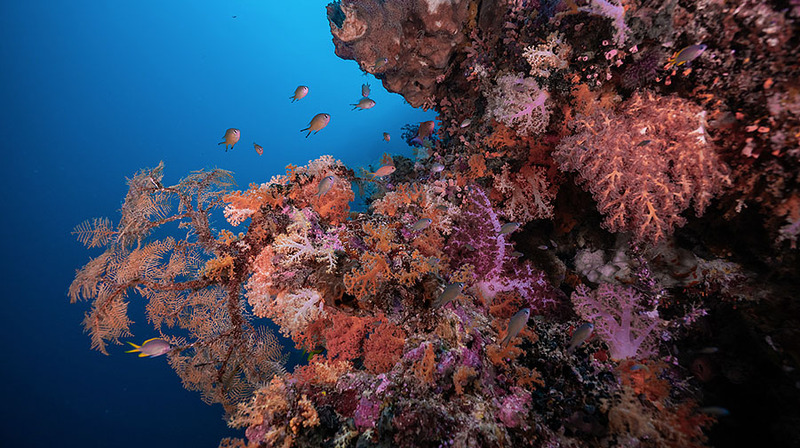 We can contribute to the healthy ecosystem of The Coral Triangle by choose seafood wisely from responsible and sustainable fishing, using less single-use plastics, and less carbon foot print. The sun has set, we returned to Sequoia for a 14-hour journey to our next destination the famous Spice Islands, Banda. Plan your coral triangle safari with us. Begin your own journey! Yessi Sari and Pinneng take images. April, 2018.